Today, Nikon UK announced a new addition to their range of super-telephoto prime lenses with the AF-S NIKKOR 400 mm f/2.8E FL ED VR. Please read on for my initial thoughts on this new lens. The first impression you get from handling the new 400mm lens is its weight. It is a lot lighter than its predecessor by 820g. This has been made possible by using two fluorite lens elements, effectively reducing the weight but also improving the overall handling. This lens has been built to deliver precision. It uses a new electromagnetic diaphram that increases the accuracy of the aperture control, therefore giving less chance of error. Improved vibration reduction has been added to this stunning lens with the new SPORTS VR. This still has the four stop Vibration Reduction (VR) built into the lens, but with new SPORT VR this allows you to pan fast moving subjects to give you an improved overall sharpness to your end result. As in Nikons previous telephoto prime lenses, the body still has its dust and moisture-resistant construction which is designed for all weather conditions, but with the added fluorine coatings on the front element this gives it better resistance against dust, dirt or water. The new AF-S NIKKOR 400mm f2.8E FL ED VR is ideal for sports and wildlife photographers alike with its lighter frame body and its improved precision optics to ensure sharp images with minimal flare and ghosting. 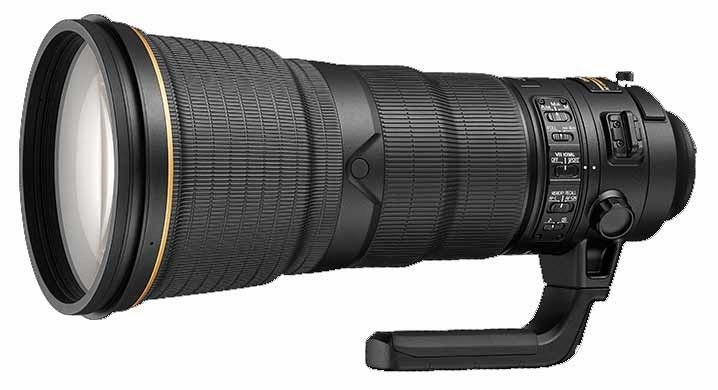 Alongside the new 400mm lens, Nikon have also announced a new AF-S TC-14E III teleconverter which will be ideal to use with the new NIKKOR 400mm f/2.8. When attached to the lens, it’ll increase the focal length by 40%, meaning you’ll effectively have a 560mm lens. Similar to the 400mm, you’ll find that the ergonomics have been improved, and the teleconverter has been made smaller, in comparison to previous models. Again, similar to the new NIKKOR 400mm f/2.8, the front and rear surfaces boast a fluorine coating to repel dirt and moisture, and the robust lens barrel has been redesigned to offer professional-grade weather resistance. See more information at www.ParkCameras.com. The Nikon AF-S NIKKOR 400 mm f/2.8E FL ED VR will hopefully arrive at Park Cameras at some stage this Summer, although precise dates are yet to be confirmed. For further details and to place a pre-order to receive one of the first lenses available in the UK, please visit www.ParkCameras.com. Alternatively, pop into our stores in Central London or Burgess Hill, West Sussex, or give a member of our expert team a call on 01444 23 70 70.